The Angus Society of Australia has entered into an agreement with Pfizer Animal Health to help Angus cattle producers benefit from its innovative new parent verification strategy. With the inclusion of parent verification in Pfizer Animal Health’s HD 50K for Angus, a more comprehensive set of information will now be available to Australian Angus cattle producers to verify parentage at no extra cost. 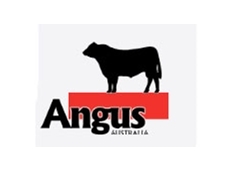 Angus Australia will use a subset of markers from HD 50K for Angus to verify parentage for the tested animals. In order for this to occur, sires and/or dams also need to be HD 50K tested or alternatively be DNA fingerprinted with a new 96 SNP panel now available through Pfizer Animal Health. Developed by Pfizer Animal Health, the HD 50K for Angus test represents one of the most advanced genomic tests currently available in Australia. A high density DNA test specifically designed for Angus cattle, the HD 50K for Angus provides information on the genetic merit of 16 economically important traits. This information is integrated into Angus BREEDPLAN in order to enhance the accuracy of several Estimated Breeding Values (EBVs) published by the Angus Society. HD 50K for Angus is the only test of its type, independently validated in Australia, and the only DNA test currently integrated into Angus BREEDPLAN. According to Dr Peter Parnell, CEO Angus Society of Australia, the provision of DNA fingerprint information is an important enhancement to Pfizer Animal Health’s HD 50K for Angus as it will assist in developing more accurate genetic evaluation methods that use genomic information. Parentage verification provides seedstock producers with valuable information on the origin of their cattle and integrity of their pedigrees. From 2013, those breeders testing their animals with HD 50K for Angus can take advantage of this new value proposition, as they will be able to enhance the accuracy of EBVs with genomic information, as well as verify the pedigree of their animals at no extra cost. Tom Gubbins, Co-principal of Te Mania Angus explains that having parentage verification done with SNPs will not only bring the price down for parentage for Angus breeders, but will also enhance the value of HD 50K for Angus as parentage will be included free of charge. By sharing the 50K genotypes with Angus Australia, Pfizer Animal Health will contribute to further progress of the Angus breed in Australia. Dr Parnell adds that the provision of DNA fingerprint information along with genomic data from the HD 50K for Angus test means Angus producers can potentially obtain more certainty of the parentage of tested animals as well as improve the accuracy of Estimated Breeding Values of animals at an early age, enabling more dependable selection, breeding and marketing decisions. He advises Angus producers interested in using the Pfizer Animal Health HD 50K for Angus test to send through hair samples for DNA extraction to the Angus Society of Australia where they will be processed and forwarded to Pfizer Animal Health for analysis.